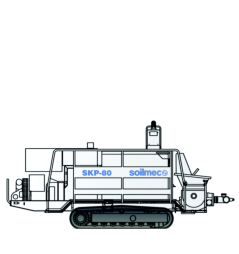 Soilmec Ltd provides a complete drilling tools range which includes concrete pumps. 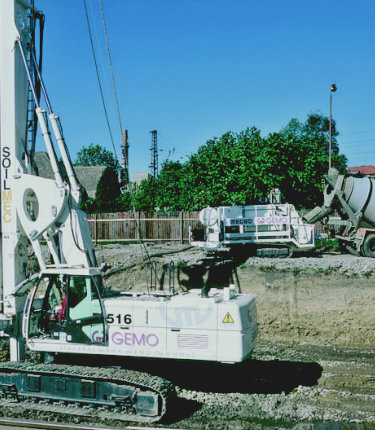 Self-propelled and crawler mounted pumping units have been specifically manufactured to work closely to the Soilmec hydraulic CFA Rigs. 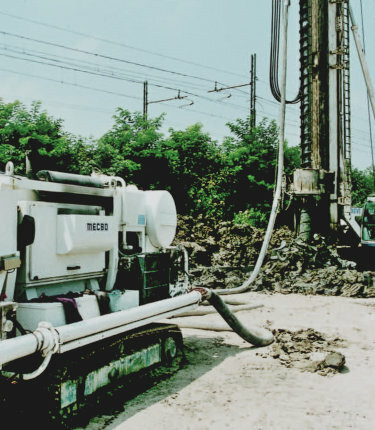 This special type of pump incorporates a concrete pipe cleaning air compressor, to be used after piling execution and a water tank for its own cleaning. 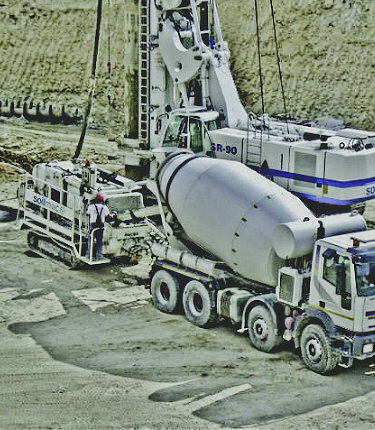 Soilmec’s concrete pumps are highly economical compared to traditional concrete pumps as they operate without air compressors and water tanks. Further adding to the economic operation is the “PULSAR SYSTEM” (patented by MECBO who joint developed the equipment) which actuates the “S” shape-valve. This saves up to 40 % energy compared to traditional piston pump systems. See below for further technical details in our PDF brochures.